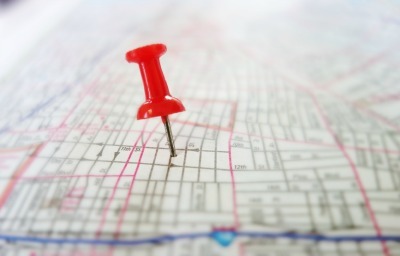 Choosing the best location for your new business is a decision not to be made in haste. Your first consideration for convenience and cost factors is to contemplate the possibility of running your startup company from home. With the rising number of virtual companies, it’s easier than ever to work remotely and take advantage of some home-office tax deductions at the same time. If the home-based option won’t work for you, finding a location for your small business requires doing your due diligence. 1. Accessibility: Do you need foot traffic? Lots of parking for customers or employees? What about distance from prospective customers or employees? If you run a B2B company and are located outside of city-center, clients may not want to drive long distances to visit your business. 2. Growth potential: Do you need a location that has room to grow? In a few years, you might need to hire more employees or accommodate new inventory. 3. Technical needs: While more and more buildings are wired for high-tech needs, that isn’t always the case when you’re looking at older buildings. Plus, if your business requires a lot of electrical power for computers, printers, servers, etc., you don’t want to blow the whole building’s power source. Finally, more and more customers expect free Wi-Fi when they shop in your store or sit in your lobby before appointments, so make sure this is something you can offer. 4. Cargo needs: Do you need easy access to transportation, such as trains or an airport for cargo shipping? Do you need space for large trucks to load and offload product? 5. Other: Besides office space for your staff, do you need a dedicated space for a receptionist? One option is to look for office space with shared resources such as receptionists, copiers and a mailroom. Once you know your needs, it’s a good idea to do some of your own research on locations before talking to a commercial realtor. Check with your city’s small business development office and the local Chamber of Commerce to get their suggestions on where to locate for your type of business. You may find out that your city offers tax incentives to attract small businesses to certain areas. Ideally, you want to locate in an area with active support for local businesses. Next, check online to find the demographics of different areas so you can determine whether or not the location will support your target market. Websites such as City-Data, the Census Bureau and Proximity can help you narrow down your search. Make it a point to read the area’s local paper to get a sense of the economic climate, type of businesses opening and closing and general vibe of the area. Then, look for any marketing research reports on the area from the city’s business development office, the local SCORE office and local city colleges. No matter how good a location looks on paper, you need to visit the different locations you’re considering in person to check out the traffic patterns and types of customers in the area. Does the location portray the image you want for your business? Is the area in need of street repair? Is there a nearby anchor store to help attract customers (or a competitor to lure them away)? Finally, make sure you’ve figured out what monthly rent your budget will allow before you start talking to a commercial realtor. Leasing space is a large expense already, so you don’t want to be talked into more than you can afford.